Uber is partnering with the car-sharing service Maven (which is owned and operated by General Motors) to let Uber drivers rent GM vehicles on a weekly basis. The business will cost drivers $179 plus taxes and fees, and driver will not incur any extra fees for using the car for personal use. The program is part of a new 90-day pilot launching in San Francisco, and it will coexist with another similar program from Uber’s chief rival Lyft called Express Drive. 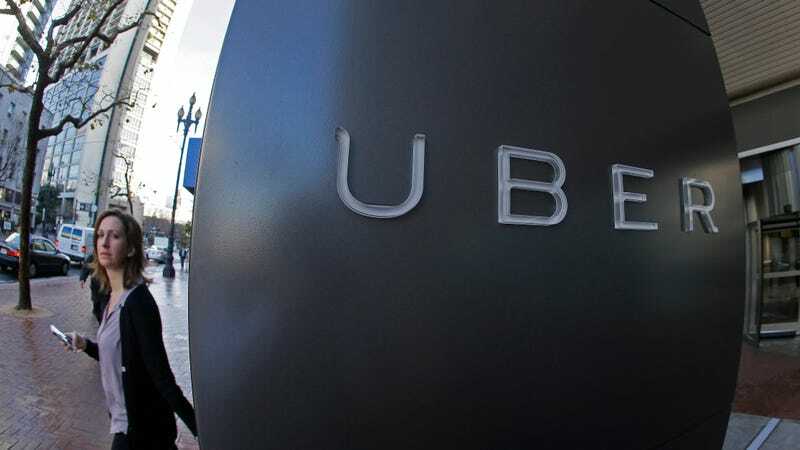 Uber Drivers that participate in the program will be allowed to choose between three different vehicles: a Chevy Cruze, Chevy Malibu, or Chevy Trax—not exactly the coolest or most comfortable cars. This is just Uber’s latest step in an ongoing effort to expand its range of leasing and rental programs made available to its drivers. This year, Uber announced partnerships with Enterprise and Hertz to provide short-term car rentals. GM has similarly been trying to plan for the long-term projected decline of vehicle ownership. In January, the company notably invested $500 million in Lyft and launched its car rental service Maven the same month. The cost of participating in Uber’s new program with Maven is about the same price that Lyft drivers pay for GM vehicles as part of the Express Drive program. You might think it’s a little unusual for this partnership triangle to exist in the first place. After all, Uber and Lyft are viciously battling it out for market share in cities across America. But all three companies insist that what’s going on is totally cool. “It’s expected that vehicle access programs have multiple partners,” a Lyft spokesperson said in a statement to Reuters. Maven currently operates in 10 US cities, so if the pilot program works out, there’s a chance it could expand quickly. Correction 6:15 PM ET: Corrects headline to clarify that rental arrangements with Uber are already in effect.